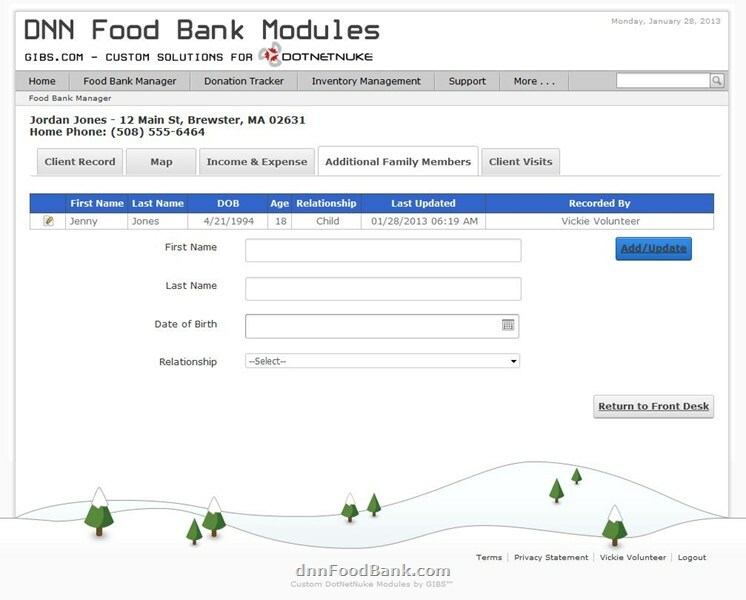 Through a joint collabration between the Harwich Family Pantry of Cape Cod and the Food Pantry at Falmouth Service Center this project was funded through a grant from the Cape Cod Foundation. The Cape Cod Foundation is a charitable community trust organized as a nonprofit in 1989 to serve the needs of the people of Cape Cod. 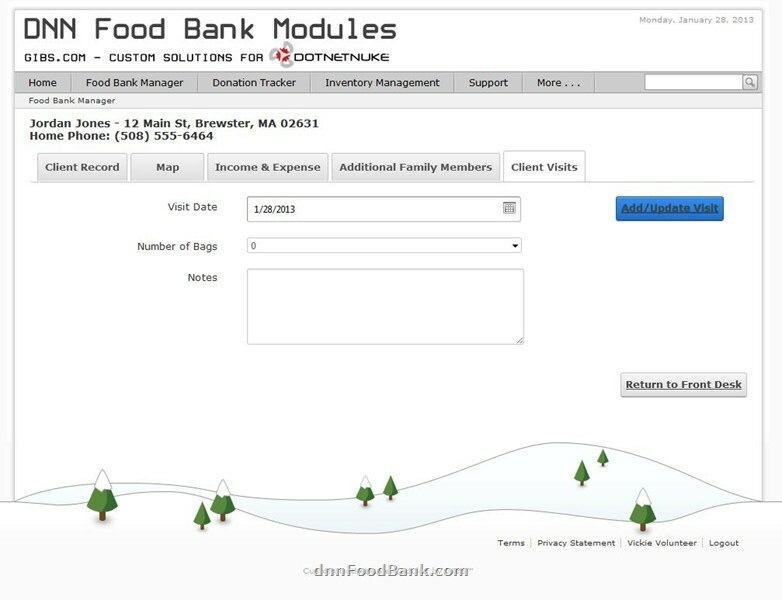 The Executive Directors and Assistant Directors of The Family Pantry of Cape Cod and The Falmouth Service Center will be working closely with the developers throughout the process. They will review the system capabilities both during the testing phase and the implementation to determine that the new system meets both organizations requirements. 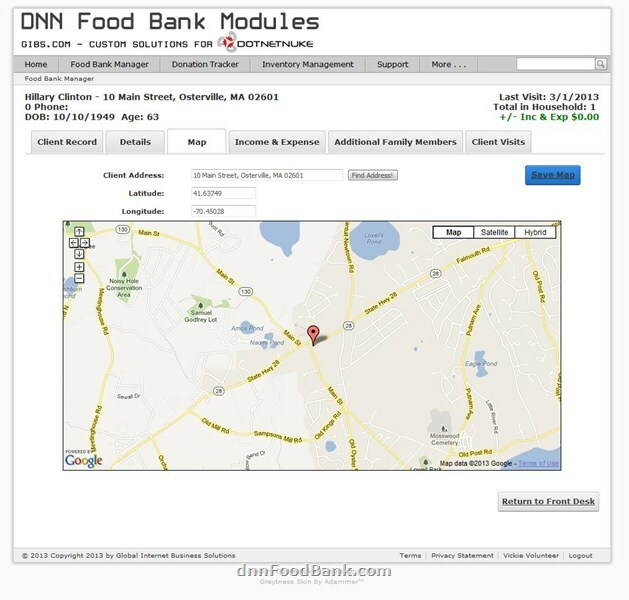 The Donation Tracking Module leverages the core DNN user table. It has the ability to add users without an email address which is a bit unusual as the core DNN add user page will NOT allow you to add an account without an email address.